If you've got a really helpful piece of feedback to share, you can do that directly from playback! From the toolbar, just click the Share button. You can choose a team or individuals to share the call with. They'll get an email with your note and a link to the activity. If you've got the Slack integration installed, you'll see an extra option. 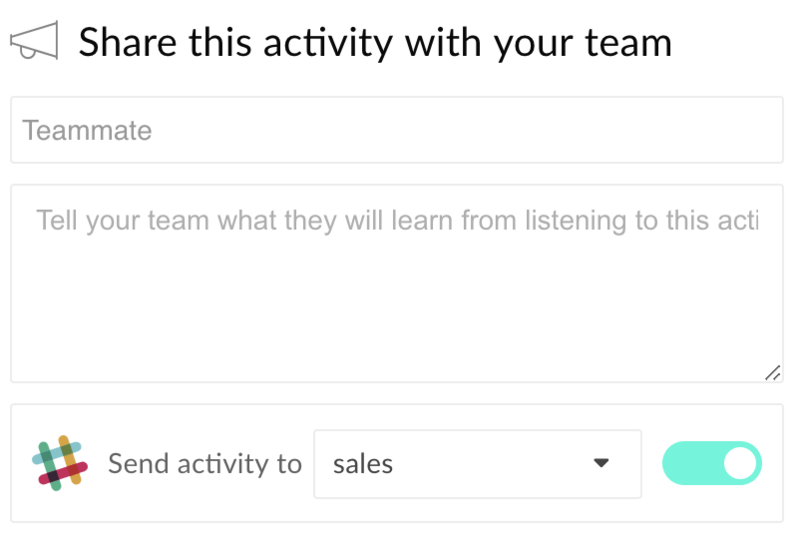 You can choose any teammate or public channel in your workspace.